The BNS Summer School is held every two years. It was founded in the early 1960s by Professor Payling Wright, who felt that neuropathologists and neuroscientists were not getting together enough to discuss the science of their subjects. Several research bodies were persuaded to sponsor the School, and the first was held at Wye College in 1965. The BNS Summer School is one of the best-remembered scientific events in the neuroscience calendar, allowing a very informal mix of workers from basic, veterinary and clinical neuroscience. An excellent scientific content with internationally renowned speakers is matched by a fantastic venue, a restful environment, and a beautiful garden combining to facilitate small-group discussions. 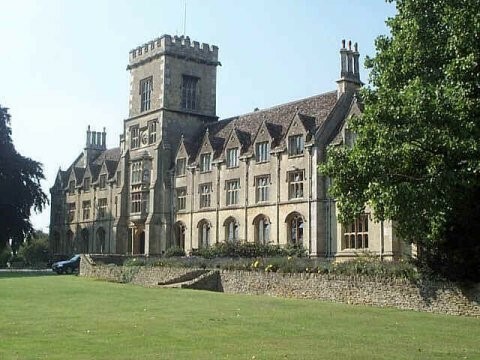 The Royal Agricultural University (former College) in Cirencester was the first agricultural college in the English speaking world. In 1842, the seeds of the College were sown at a meeting of the Fairford and Cirencester Farmers Club. Concerned by the lack of government support for education, Robert Jeffreys-Brown addressed the meeting on the ‘Advantages of a Specific Education for Agricultural Pursuits’. A prospectus was circulated, a general committee appointed and Earl Bathurst was elected President. Funds were raised by public subscription with much of the support coming from the wealthy landowners and farmers of the day; there was no Government support. For more information about the College, see http://rau.ac.uk.